During the Second World War (1939-45) Britain created a range of special units that undertook a variety of daring operations against the Axis powers. The bravery and commitment of these forces has become the stuff of legend. The men who formed Britain’s special forces shared a particular sense of independence and ingenuity. Men like Orde Wingate, Roger Courtney, David Stirling and Ralph Bagnold wanted to find a new way of waging war. Gathering like-minded individuals around them, they trained for, planned and carried out their own operations. They developed new tactics for carrying out new missions. They were helped by advances in technology that were happening at the time. Improved radio communication, better air and sea transport, more reliable motor vehicles, and hard-hitting new weapons and explosives made such warfare possible. They also had a key supporter in Winston Churchill. The prime minister backed their plans when the military high command were often unenthusiastic. Keen to fight and win a conventional war, some generals considered special forces unnecessary ‘private armies’. 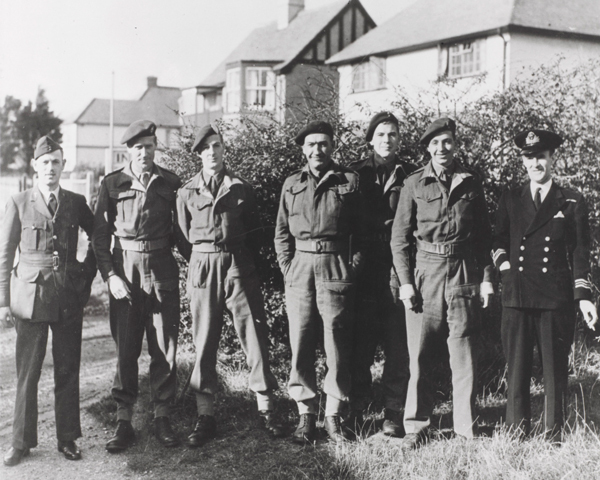 After the fall of France in June 1940, the British established a small, but well-trained and highly mobile, raiding and reconnaissance force known as the Commandos. 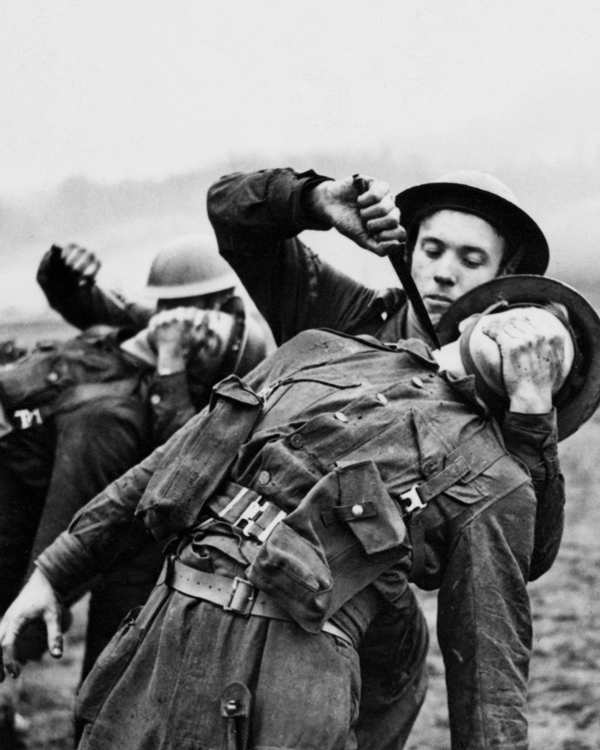 The first recruits were volunteers selected from existing regiments in Britain. 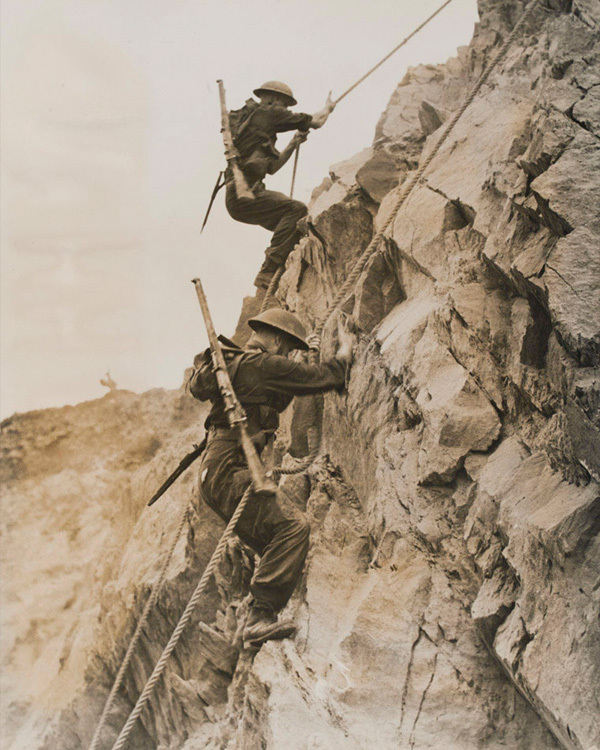 In 1942, the Royal Navy's Royal Marine battalions were also reorganised as Commandos. Commando recruits were trained at special centres in Scotland. They learnt physical fitness, survival, orienteering, close-quarter combat, silent killing, signalling, amphibious and cliff assault, vehicle operation, the handling of different weapons and demolition skills. Any man who failed to live up to the toughest requirements would be 'returned to unit'. The first commando operations were small raids. But later they grew both in complexity and size. As the Second World War continued, commandos fought in large formations as assault troops in many of the conflict's key battles. But the need for smaller operations remained. In December 1942, men from the Royal Marines Boom Patrol Detachment (RMBPD) took part in a raid against German merchant vessels at Bordeaux. Several of the German ships there were known to be taking specialist equipment to Japan. A large commando attack was ruled out as too expensive. Planners were also reluctant to launch an operation similar to the recent failed raid at Dieppe. Instead, five two-man teams of the RMBPD disembarked from a submarine in the Bay of Biscay, tasked with paddling their folding canoes up the heavily-defended River Gironde. Only two teams made it to the port of Bordeaux. There they attached limpet mines to the ships, damaging six of them. The other canoes capsized in the rough waters near the Gironde estuary. Of the ten men - who would later become known as 'the Cockleshell Heroes' - only two survived. Two succumbed to hypothermia and six were caught and executed. One of the survivors was raid leader Major Herbert 'Blondie' Hasler who escaped to neutral Spain. Although the raid was a morale boost for the British population and the French resistance, it had little long-term strategic effect. Most of the damaged ships were soon back in use. Operating along similar lines to the RMBPD was the Special Boat Section. 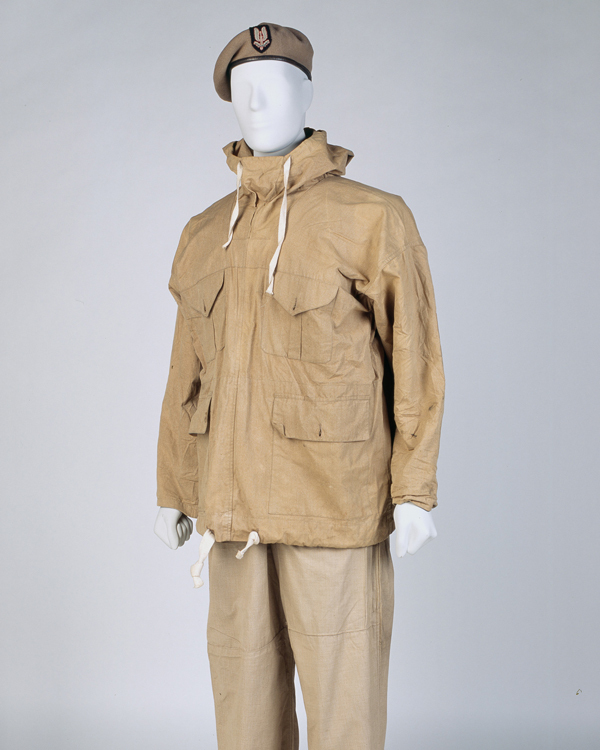 It was formed in July 1940 by Commando officer Captain Roger Courtney, who had formerly been a professional big game hunter in East Africa and had canoed the length of the White Nile. 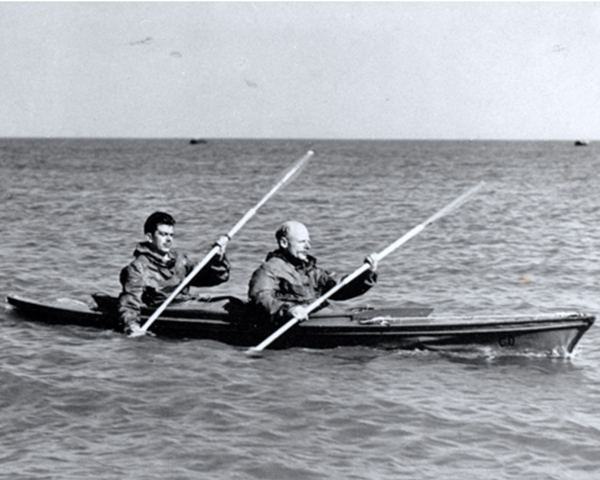 His unit used folding canoes (or folboats) in a number of small-scale raids against railways, port facilities and airfields in Scandinavia and the Mediterranean. Special Boat Section teams were made up of volunteers from across the three services. As well as raiding, they carried out beach reconnaissance, including missions for the cancelled invasion of Rhodes (1941), and the Operation Torch (1942), Salerno (1943) and Anzio (1944) landings in North Africa and Italy. Often working with Lieutenant-Commander Nigel Clogstoun-Willmott and the Combined Operations Pilotage Parties (COPP), they made sure beaches could be fully approached by landing craft and stand up to the weight of tanks and vehicles. This was another lesson learnt from the raid on Dieppe in 1942. They also inserted secret agents into enemy-occupied territory. 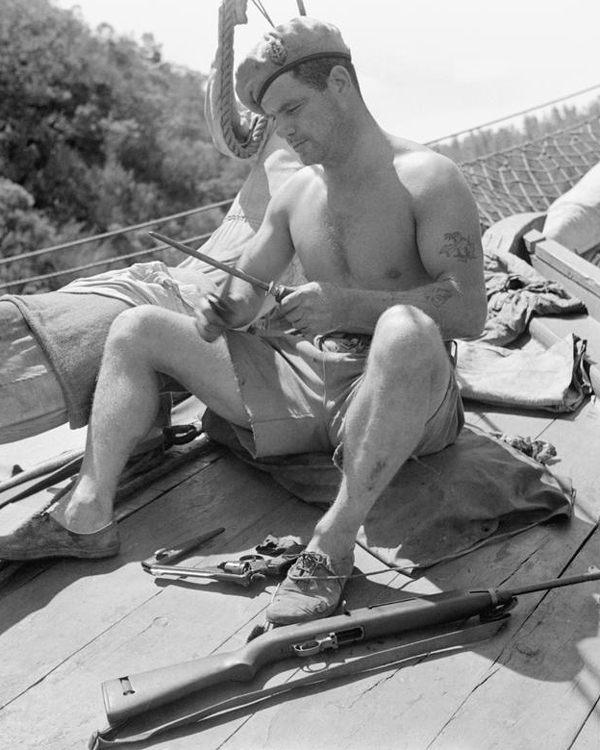 Boat teams later served in Burma, operating against the Japanese on the Chindwin and Irrawaddy rivers. In early 1942, part of Courtney’s unit (No 1 Special Boat Section) had been sent to the Middle East to work with the Special Air Service. When the latter was re-organised in March 1943, the remaining men of No 1 Section were combined with No 62 Commando (the Small Scale Raiding Force) to form a new Special Boat Squadron (SBS), under Major George Jellicoe. This unit took part in raids in the Aegean Sea, often using small shallow draught fishing boats called 'caiques' to blend in with local shipping, as well as canoes and dinghies. In June 1943, Jellicoe’s men landed on Crete from a submarine. 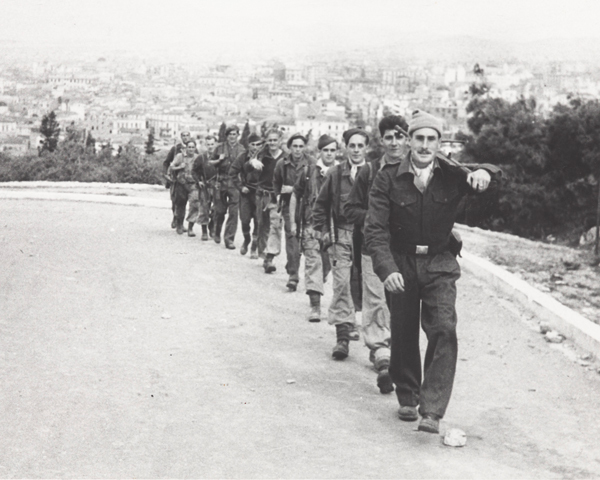 They attacked Heraklion airfield, from where the Germans were mounting attacks on convoys, and planted time-bombs on 20 aircraft and a munitions dump before leaving undetected prior to their detonation. After a fight with German patrols at the coast, Jellicoe managed to evacuate most of his force. In September 1944, the Germans began to retreat from southern Greece. Jellicoe's force - which had been renamed the Special Boat Service earlier that year - cut off large numbers of the enemy, who surrendered believing themselves surrounded. This misconception was due solely to SBS mobility. The Germans were still evacuating Athens when Jellicoe and 50 SBS troops became the first Allied soldiers to enter the city. SBS methods could be rough and ruthless. In 1944, their conduct was debated in the House of Commons. 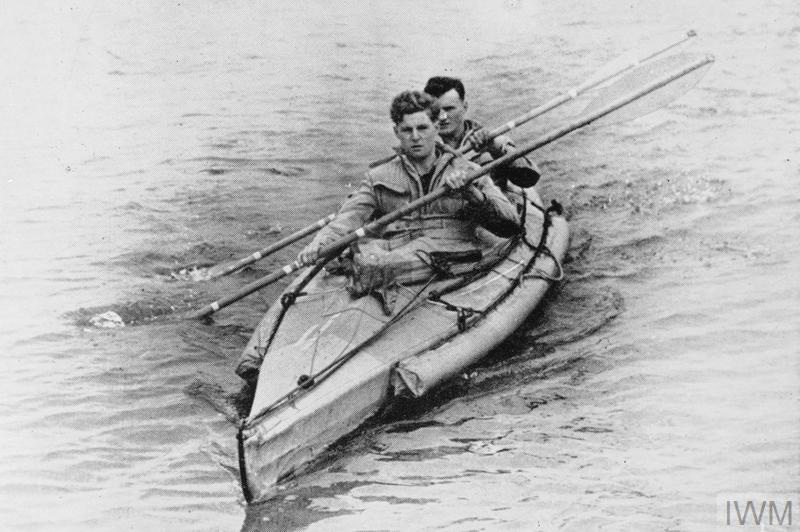 Although their roles always overlapped to some extent, the various canoe and boat units became more specialised from late 1942 onwards. The RMBPD focused on ship attack and harbour sabotage, the Special Boat Section and COPP undertook covert beach surveys, and the Special Boat Squadron engaged in raiding, sabotage and reconnaissance above the high-water mark. Founded in July 1940 by desert explorer Major Ralph Bagnold, the Long Range Desert Group (LRDG) specialised in raids and reconnaissance behind enemy lines. Masters of desert navigation, the LRDG relied on lightly-armed jeeps and lorries to traverse the Sahara and gather intelligence. Bagnold even invented a sun-compass that revolutionised desert travel. Bagnold wanted men who were energetic, innovative, self-reliant, physically and mentally tough, and able to live and fight in seclusion in the wilderness. 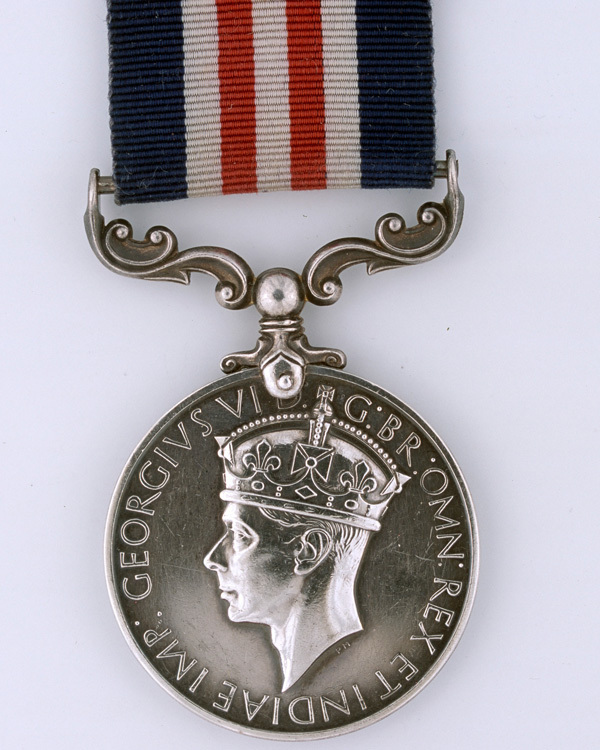 Many volunteers came from Commonwealth units, as Bagnold believed New Zealanders, Rhodesians and others had these characteristics, as did some yeomanry soldiers. 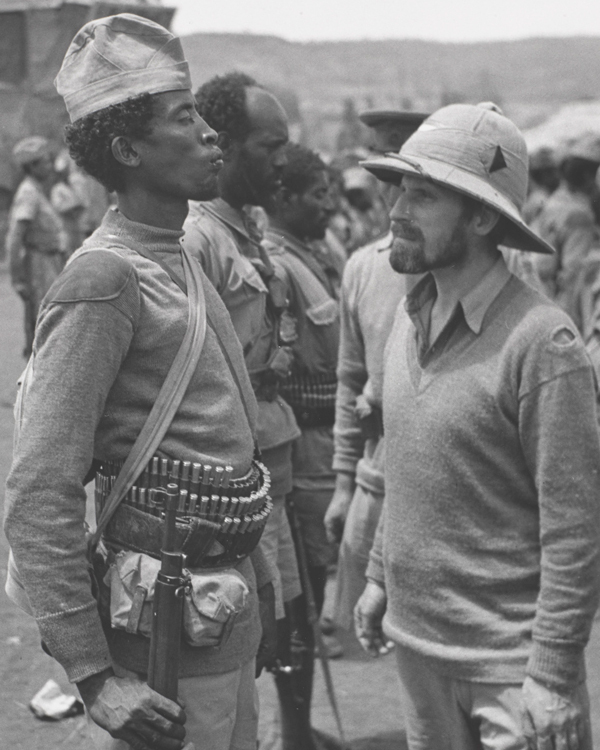 Other LRDG volunteers came from Gideon Force, an irregular army in Abyssinia (now Ethiopia) led by Orde Wingate. The LRDG’s ‘Road Watch’ reports on Axis troop movements were vital to Allied successes. Important raids included the attack on Barce airfield in Libya in September 1942 that destroyed 16 Italian planes. Following victory in North Africa in 1943, LRDG personnel were transferred to the Aegean. There they took part in a series of raids, often alongside SBS and Commando units, and kept watch on enemy shipping. 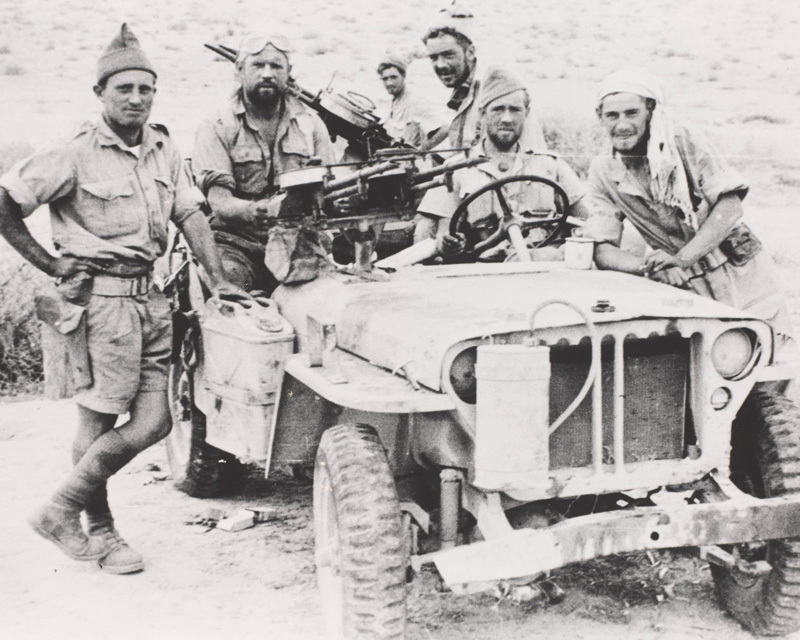 The LRDG was augmented in July 1941 when commando officer Captain David Stirling established the Special Air Service (SAS), drawing its first men from No 7 Commando. This small raiding force targeted enemy airfields and port installations in North Africa, usually at night. As with several other wartime special forces, there was no formal recruitment and selection process. Stirling often directly chose people he thought would be suitable. Other men put themselves forward. Many had already undergone commando training, including Stirling himself, unit co-founder Lieutenant 'Jock' Lewes and Lieutenant Paddy Mayne, a former British Lions rugby player who later commanded the unit. Today, SAS selection is far more formal and extensive. But the training introduced by Stirling and Lewes was still tough and included long marches with heavy loads. When Stirling’s men attempted to parachute on their first mission near Tobruk in November 1941, bad weather and inexperience led to disaster. Only 21 out of 50 men returned. The remainder were either killed or captured. The LRDG picked up the survivors. 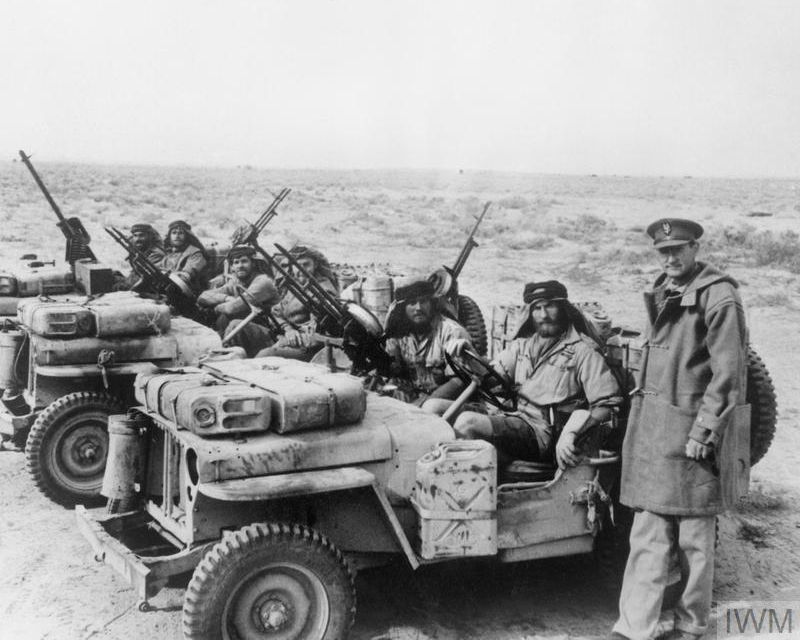 From then on, until the SAS were issued with their own vehicles, the LRDG transported them behind enemy lines. During their desert operations, the SAS destroyed more than 300 Axis aircraft. This was a cost-effective return on a handful of soldiers driving cheap vehicles maintained by a few mechanics. Paddy Mayne’s personal tally of destroyed aircraft was higher than any Royal Air Force fighter ace. 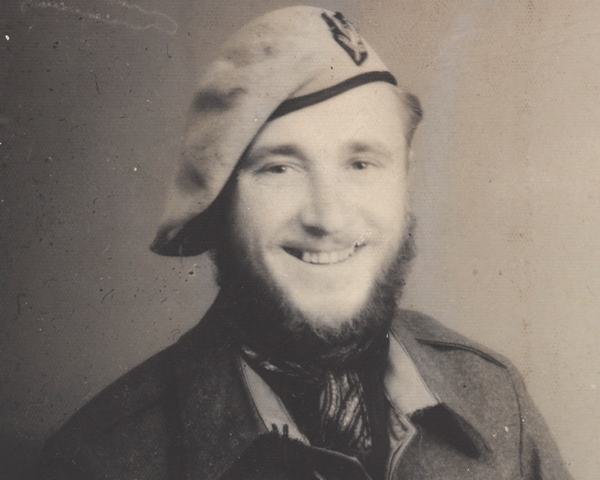 From 1944 to 1945, SAS troops fought in Italy and in operations behind the lines in North West Europe. In both theatres they provided direction and arms to resistance groups, sabotaged lines of communication and pinpointed targets for air strikes. 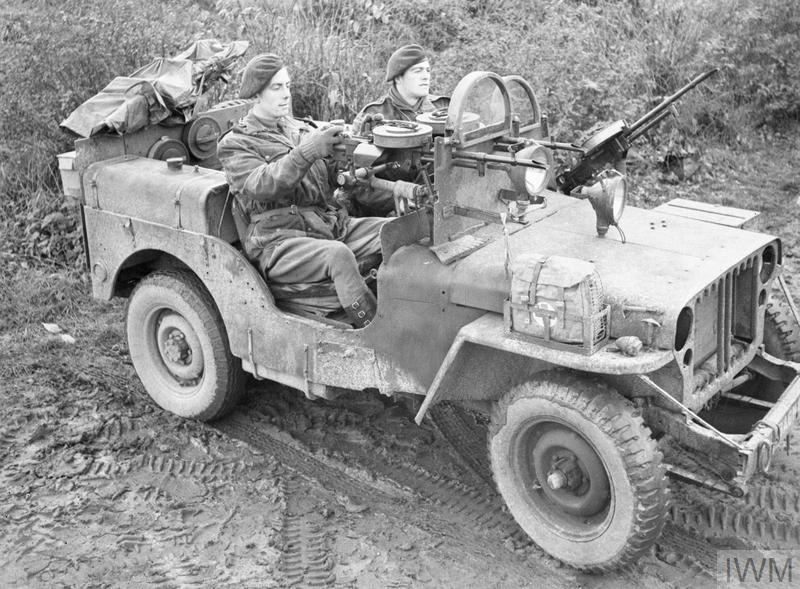 As the Germans retreated, the SAS also provided jeep-based reconnaissance for the advancing Allied armies. In February 1943 and March 1944 British and Indian soldiers of the Long Range Penetration Force, nicknamed ‘the Chindits’, undertook two missions far behind enemy lines in Burma. The Chindits were founded and led by Brigadier Orde Wingate. He had earlier successfully commanded Gideon Force - an irregular army inspired by the Special Operations Executive and composed of British, Sudanese and Ethiopians - against the Italians in Abyssinia during 1940-41. 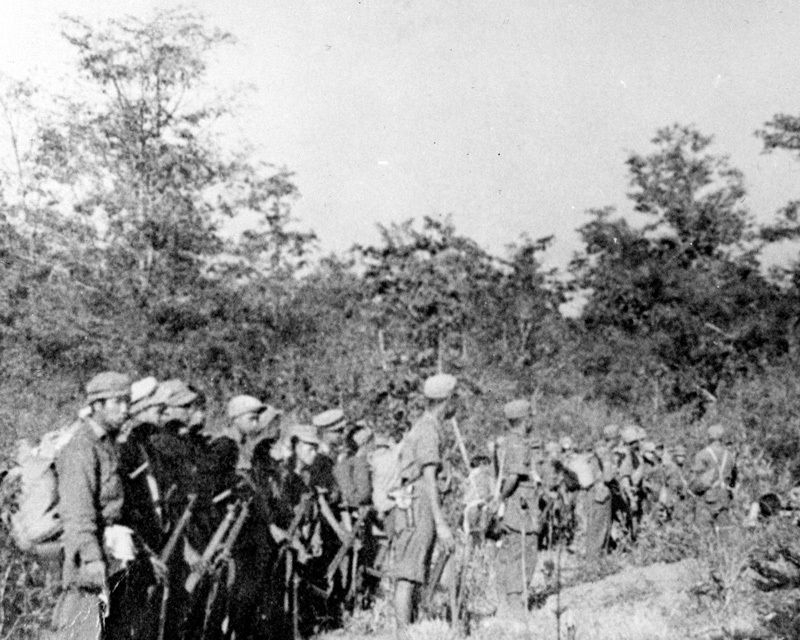 Wingate’s new venture sabotaged Japanese railways and roads, and encouraged local Burmese, Kachin and Keren resistance groups to attack the enemy. 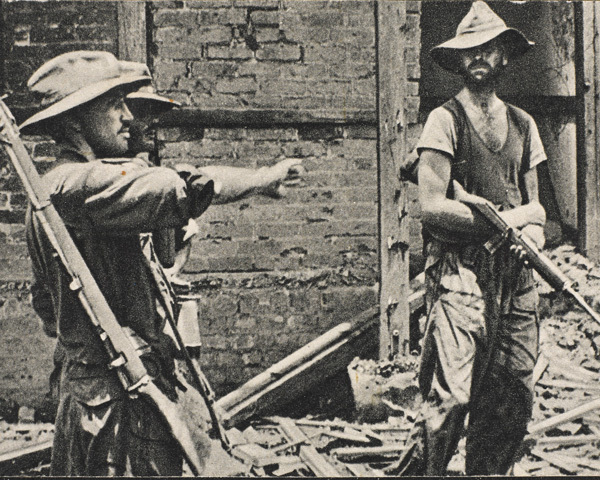 By engaging enemy units and interrupting supply lines, the Chindits also prevented the Japanese deploying all their resources to the main battle zones in Burma. This was especially crucial in 1944-45 when they supported the Americans and Chinese in the north. 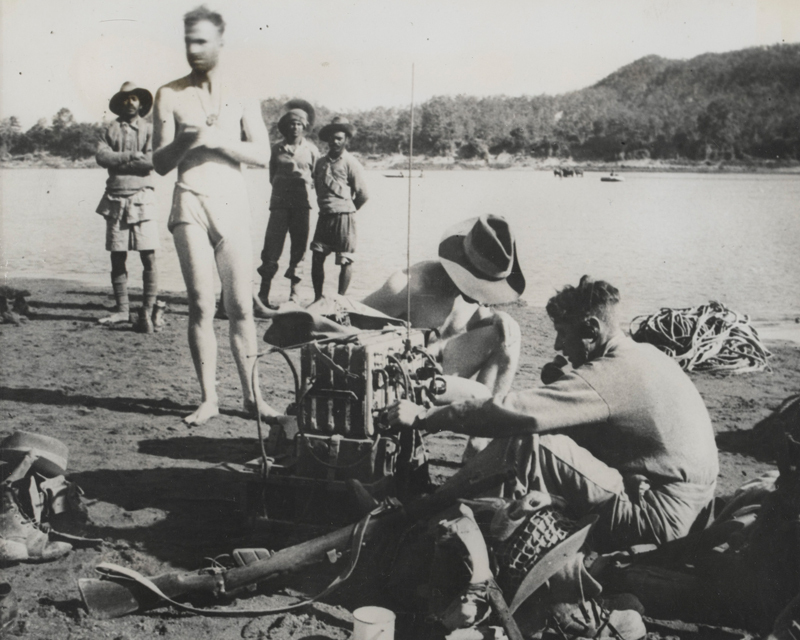 Radios provided the sole means of communication between the Chindit columns and their supply bases. 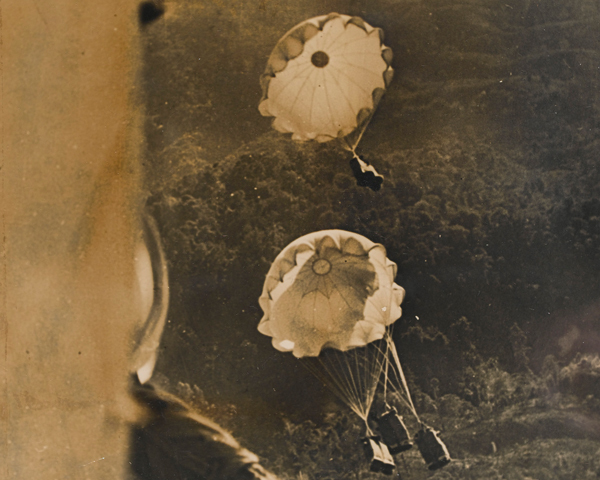 Royal Air Force transport aircraft either dropped supplies by parachute or landed on hastily cleared jungle airstrips. Sometimes the planes returned with sick and wounded men. The Chindits suffered heavy casualties and many succumbed to illness. Their military value was therefore questioned by some. But they undoubtedly boosted Allied morale and provided important long-term lessons on air supply and how to live and fight in the jungle. One veteran Chindit officer, Brigadier Mike Calvert, went on to play a crucial role in establishing a specialist jungle fighting unit, part of 21st SAS, during the Malayan Emergency (1948-60). Following Churchill’s election defeat in July 1945, the special forces lost their main supporter. The Chindits had already been disbanded in February of that year. The LRDG, Special Boat Section, SAS and SBS followed suit between August and October 1945 after a War Office study concluded that there was little need for special forces in the post-war world. The SAS and a new SBS would, however, be reformed in later years. After the war, Field Marshal Sir William Slim was among those who condemned many of the new forces as wasteful. 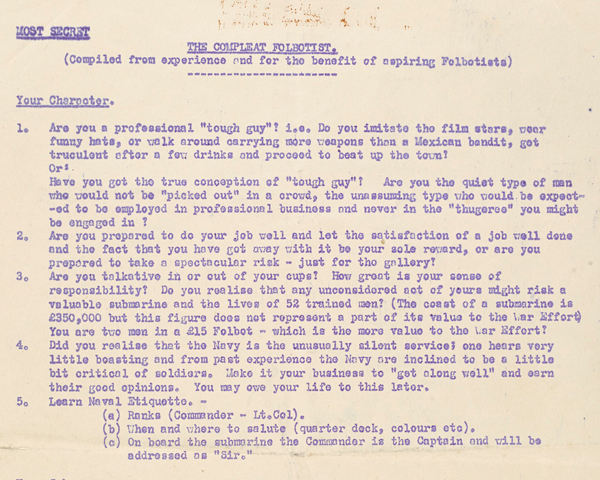 But even he recognised that ‘one kind of special unit… should be retained - that designed to be employed in small parties, usually behind the enemy, on tasks beyond the normal scope of warfare in the field’. Critics, like Slim, questioned whether the strategic advantages gained by special forces operations merited the required investment in time, training, material and personnel. While the impact of the Bordeaux raid is debatable, the contribution of the LRDG and SAS in North Africa is clear. Both were cost-effective, provided vital intelligence, and eroded enemy airpower in that theatre. They successfully met Slim’s criteria of undertaking ‘tasks beyond the normal scope of warfare in the field’. Judging the impact of the Chindits, or the SAS and SBS in Europe, is more difficult. 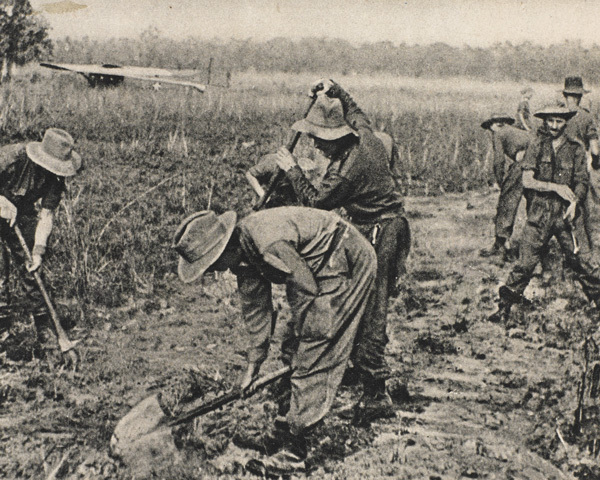 Despite heavy losses, the Chindits successfully tied down thousands of Japanese troops. Similarly, SBS operations in the Mediterranean forced the Axis to garrison Yugoslavia, Albania and Greece with thousands of soldiers, preventing their use on other war fronts. Indeed, they were so effective that, by 1944, one estimate suggests that around 300 men of the SBS were holding down the equivalent of several German divisions. However, special operations often relied on resistance support or help from local people. This led to brutal reprisals against civilian populations. Jellicoe’s SBS raid on Heraklion in 1942 was considered a great success. But 50 Cretans were subsequently executed. And it was fear of reprisals against the Kachins in Burma that led Force 136 and the British High Command to persuade Wingate to scale back his plans to foster risings in northern Burma. They realised that without a permanent British military presence there, the Japanese would attack the population following the end of operations. There was also duplication of effort. Churchill and others allowed a proliferation of units and failed to co-ordinate their operations. For example, while the RMBPD was raiding Bordeaux in 1942, the Special Operations Executive was simultaneously planning to bomb the ships there. A French agent was approaching the ships when he heard the detonation of Hasler's limpet mines. The initial overlapping of roles by the Special Boat Section, Special Boat Squadron, the RMBPD and COPP added to the confusion. And in Burma there was often a lack of co-ordination between Chindit efforts to foster native uprisings with those of Force 136 and others. Eventually a controlling office at Whitehall was formed, responsible for avoiding inter-departmental rivalry, duplication and wasted effort.